Posted 4/18/2013 4:50am by Sam Bellamy. The Strawberry field should be open everyday ( except Sunday ) at 8 am until around 3:30 to 5 pm depending. The berries look really good and the picking is easy. The fruit looks like it will be exceptionally good as the plants are in good shape, blooms and green fruit abound. Other Prime items... organic lettuce, organic broccoli, organic arugula, asparagus, greens, garden peas just beginning. Posted 4/14/2013 1:45pm by Sam Bellamy. We will be at the Myrtle Beach Farmers' Market starting Wednesday, April 17th from 9:00 am - 3:00 pm on Wednesdays, Fridays, and Saturdays. We will have fresh strawberries, vegetables, and local goat milk. Posted 4/13/2013 12:52pm by Sam Bellamy. Starting Monday, April 15th the Market will be open from 8:00 am - 5:30 pm Monday - Saturday. Posted 4/12/2013 6:42pm by Sam Bellamy. The strawberries are waking up with the warmer nights and good sunshine. We plan to have the field open Tuesday morning at 8 am. Please bring a container to take your berries home in. We have fresh picked berries available in the market now. Posted 3/30/2013 1:36pm by Sam Bellamy. Wishing all of you a joyous Easter weekend! 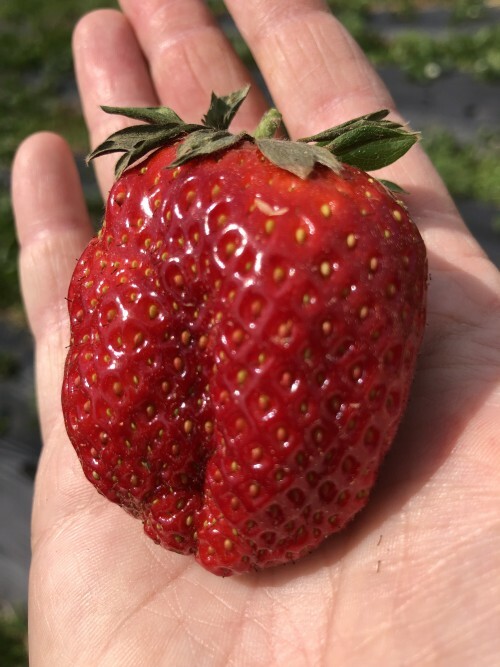 Also, we hope to have the Pick Your Own strawberry field open the second week of April! Posted 2/21/2013 5:47am by Sam Bellamy. We are pleased to annouce that we are now open Monday through Saturday. We want to help you make this year as healthy and fulfilling as possible. Some changes have and are being made to the website in hopes that you will find it easier to use. Posted 2/20/2013 7:06pm by Sam Bellamy. The market is now open from 9:00 am - 5:00 pm, Monday - Saturday. We are closed on Sunday. The Produce Market has some wonderful cool season greens and vegetables. The Bakery has lots of delicious treats for you to come in and try. The Garden Center has plants, seeds, and everything else you'll need to get ready for spring! Posted 1/8/2013 10:26am by Sam Bellamy. Posted 12/21/2012 9:16pm by Sam Bellamy. We will be open through Saturday Dec 22. Please be sure to pick up any bakery orders by then. The Bakery team is excited about new recipes to be added this Spring. We are trying to learn more about the food we grow. The food we eat should be good, truly enjoyable and beneficial to our health. The produce market will be open Saturday December 29 from 9:30 am to 1:00pm. We are planning on having a Saturday morning produce market throughout January. If you are interested in produce, honey, nuts, preserves, dressings ,etc. E-mail or gives us a call. 843-399-6902 or 910-287-6794. If you are interested in really good fresh broccoli, kohlrabi, cabbage, turnips, collards, mustard, lettuce. Much of these items are available as certified organic as well. If you need items from the Garden center just ask. Please use cash during this time as we are trying not to use credit cards during this time. Posted 12/16/2012 8:33pm by Sam Bellamy. Check out the army of Gingerbread people at the bakery. These colorful characters are not bad as a little treat or as a team of festive additions to a Holiday gathering. The scones and pumpkin rolls are good too. Now is the time to place an order for pies , etc for Christmas. There are some good greens, turnips and other fresh produce as well as honey, ham, jams and dressings in the produce market. The Garden Cneter has many good items for Christmasn as well.